While the probably three largest budget laptop manufacturers from China, namely CHUWI, Teclast and Jumper, were still at eye level, Teclast seems to be slowly taking the lead. With the Teclast F6 they finally convinced us. Now, with the Teclast X6 Pro, they dare to enter the higher price category! 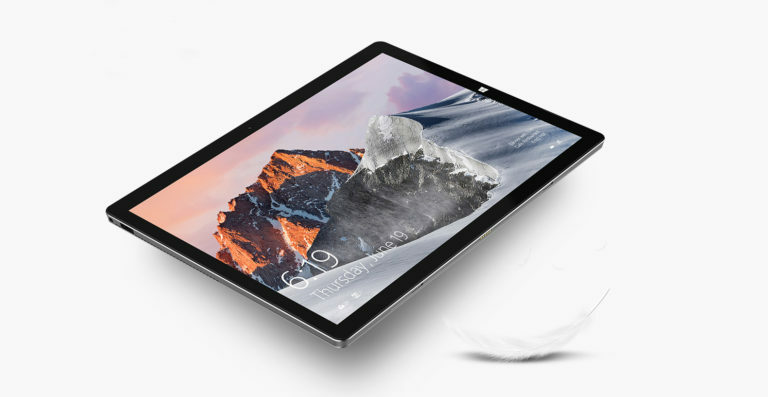 The Teclast X6 Pro is basically a tablet that can also be used as a laptop replacement. However, a keyboard is required for this, which is unfortunately not included in the scope of delivery. What you get is a relatively large Tablet PC with a screen diagonal of 12.6 inches. This almost reaches the 13 inch limit of most notebooks. The resolution of 2880 x 1080p is also quite impressive. This results in a pixel density of 275 ppi. It is common practice for Teclast to use an IPS display. The screen edges are not too wide overall and give the X6 Pro a modern appearance. The manufacturer also achieves this with a thickness of 8.5 mm. This makes it as “thin” as the Xiaomi Mi Mix 3 – not bad! Due to its size alone, the tablet weighs in at a proud 820g. As for example with the VOYO VBOOK i7 Plus one can speak here of a “surface clone”. The Teclast also offers a foldable stand with an angle of inclination of up to 135°. So you can use the tablet quite flexibly. On the other hand, not so much happens on the back. There is a camera, model and manufacturer’s name. However, the edge is completely equipped with ventilation slots that cool the tablet. For your money you can get relatively strong, but not quite up-to-date hardware here. The Intel Core m3-7Y30 Dual Core 1.1GHz processor, which is also included in the Xiaomi Notebook Air 12,5″, takes care of the drive. The Dual Core offers a clock frequency of 1.1 GHz with a boost up to 2.6 GHz. Although the CPU is no longer the very latest (Release: 2016), it still delivers very solid performance. Especially in combination with the 256 GB SSD and 8 GB LPDDR3 RAM, the Teclast X6 Pro should be much more resilient than its little brothers like the Teclast F5. The memory, of course, contains Windows 10, which makes you realize that the manufacturer has a genuine laptop replacement in mind. However, with a capacity of 5,000 mAh, the battery is also only of average size. Only a test can show how long you can get by with it in the end. One can also mention that the X6 Pro has two cameras. A 2 MP camera on the front and a 5 MP camera on the back. For the right workflow Teclast offers the possibility to turn the X6 Pro into a fully-fledged laptop replacement by means of a magnetic keyboard. You can also use the Teclast stylus. Both devices are included in the standard package but not included in the scope of delivery. In addition there are further connections. 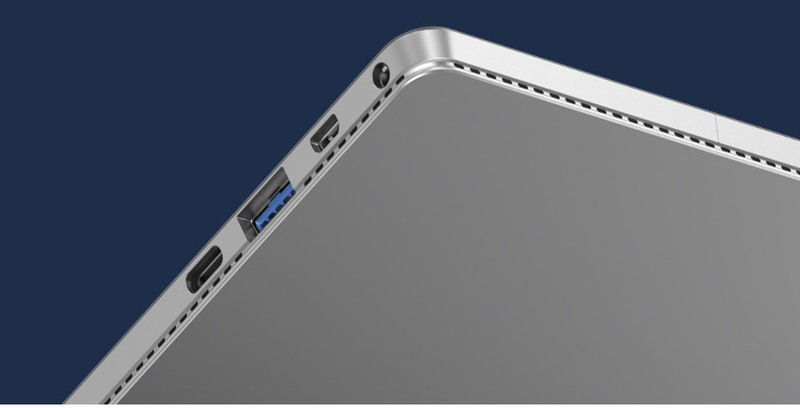 The Teclast X6 Pro has two USB 3.0 ports, one USB type C port, one DC port and one HDMI port as well as a headphone port. Since Teclast has not disappointed us with its latest laptops, we are also looking forward to the new Teclast X6 Pro quite optimistically. Especially the relatively good processor, the very high-resolution display and the large 256 GB SSD speak for the device. What do you think? Is it the best surface clone so far or where are the weak points for you?